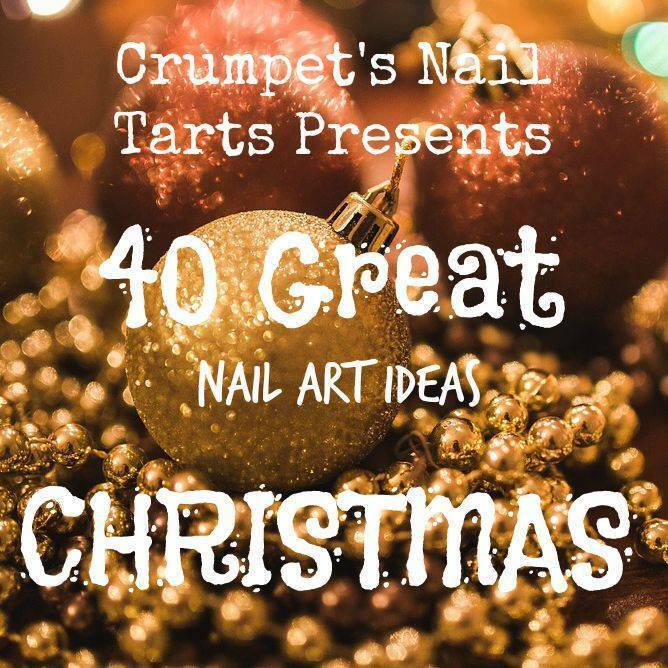 This week brings a return to the colour and technique prompts for the 40 Great Nail Art Ideas group. These are definitely my favourite types of prompt. 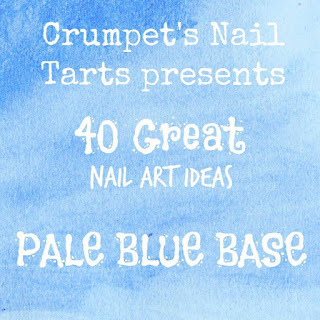 The theme this week is over a 'pale blue base' and my technique prompt was patchwork. These were so fun to create. My base is Ulta3 Spring Shower. 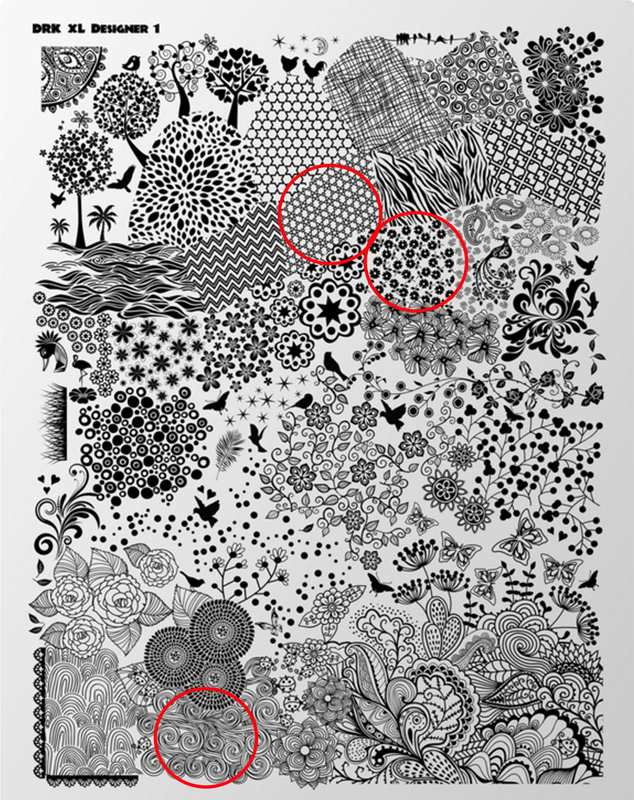 I then used the DRK XL Designer plate 1 and chose three different images. 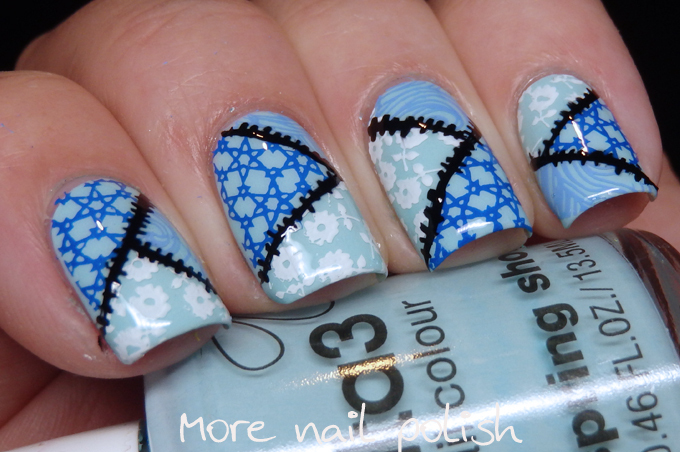 I also grabbed out three different stamping polishes, white and two shades of blue. I used liquid latex to mask off different sections of my nails before stamping. 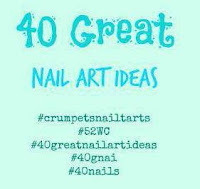 I started using Color 4 Nails Crystalline Veil, but then switched to the Dance Legend version as it has a wider brush and makes applying it quicker. After stamping each design I applied a layer of top coat so that the stamping didn't peel off when I applied the latex barrier over it for the next stamp. When I was all done with the stamping, I used a fine nail art brush and black polish to paint the lines and stich marks. Very pretty and cleverly created! I love how different Spring shower look together with the different stamping polishes. I saw the video tutorial for this on instagram, and I had to tell you that I really love this look!